The Nokia 603 is a model designed for novice users of smartphones. The Nokia 603 has a small enclosure, which was used to the maximum extent the advantages of scratch-resistant ClearBlack display with a diagonal 3.5-inch, adapted for use in sunlight. 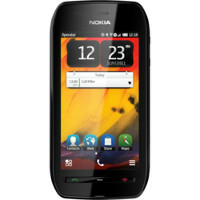 Nokia 603 offers maps, the latest social apps and games, as well as the ability to take, edit and share your photos and videos. Remember that entered PIN on the website must be exactly the same as PIN entered in the setup program on your Nokia 603.